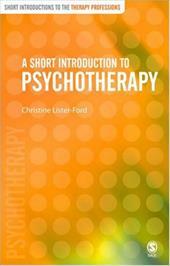 A Short Introduction to Psychotherapy is an accessible guide to the field for anyone embarking on training or simply interested in finding out more about psychotherapy. Mapping the development and dimensions of contemporary practice, the book explores the origins of psychotherapy; its applications in terms of modalities, settings and client populations; central theoretical concepts; the nature of training and career paths for qualified practitioners; and main critiques, both from within and outside psychotherapy. A team of well-known and highly-regarded contributors examine issues which have particular bearing on psychotherapy today.